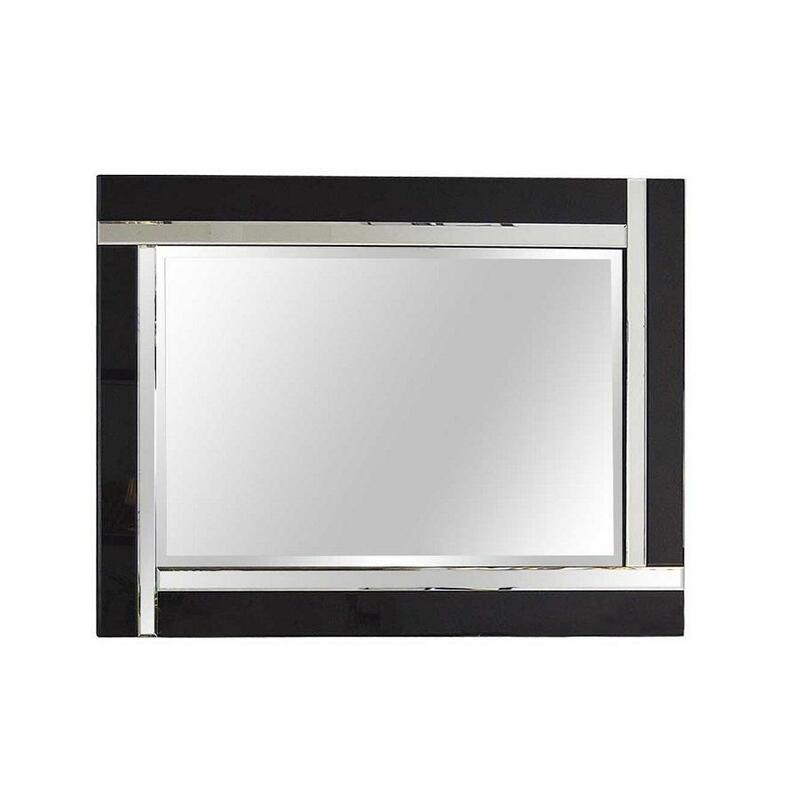 This black bevelled edge Venetian mirror will add style and character to any room from the living room to the bedroom and will even make a chic bathroom mirror. 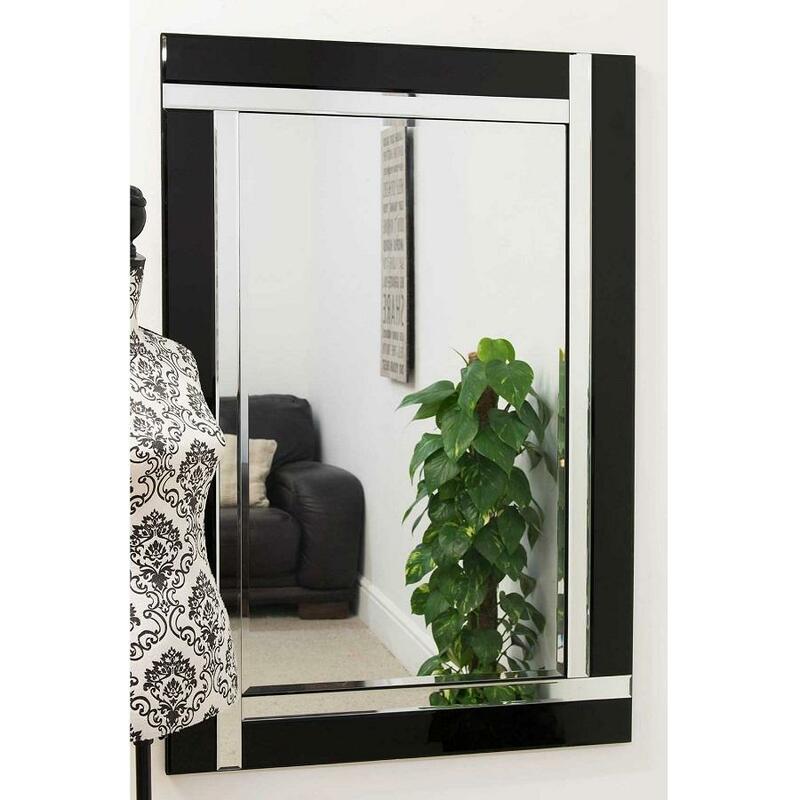 With a double black and silver outline and bevelled glass this mirror truly will bring any room alive. May be hung landscape or portrait.